Successfully Added High Speed 802.11 b/g/n Wireless USB Adapter to your Shopping Cart. Why buy a new computer, while you can easily use this Wireless Internet USB Dongle on your old one to receive WiFi signal immediately? 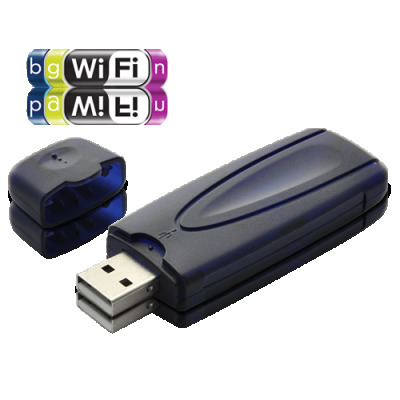 Supporting the global 802.11b/g/n wireless standards, this LAN USB Dongle enables all computers, no matter how old, to harness wireless technology. Easy to install and effortless to use, simply install the software and then plug and play - insert the dongle into a USB port, and start to enjoy high speed internet connection of up to 150Mbps! Enjoy the benefits of wireless technology around the home to relax and surf wherever you are inside. Boost your productivity in the office while you work with the ability to join a wireless network. Increase your surfing speed and improve the signal range to your computer. All of this is available to you now with this handy little USB device! Now offered at an amazing wholesale price, this convenient little gadget is available for immediate shipment worldwide. Suitable for both personal use and resale! Brought to you by your source for high tech gadgets, Chinavasion. What is the maximum operating range of this Wi-Fi Internet USB dongle?